The health benefits of garlic and the other medicinal properties have been widely studied. Garlic is considered a herbal "super drug", with ancient reputations in many countries for preventing anthing from asthma to flu. It is used extensively throughout the alternatice medicine world. In some coutries, raw garlic is seen as a great remedie for acne and evidence points to the fact that it can even assist in managing high cholesterol levels. Once digested it can also be used as a natural mosquito repellent. As a general rule, the stronger tasting cloves of garlic have higher conetent levels of sulphar thus resulting in a higher medicinal value. It has along been argued by experts that organic garlic is far more powerful in treating certain ailments. Science has long since proven the benefits of garlic through use as a powerful natural antibiotic which unlike other natural supplements, our bodies do not build up resistance. As a result the positive benefits of garlic continue over time. Various studies have proven that garlic has a strong antioxidant effect. Antioxidants such as garlic help to protect the body against damaging chemicals. 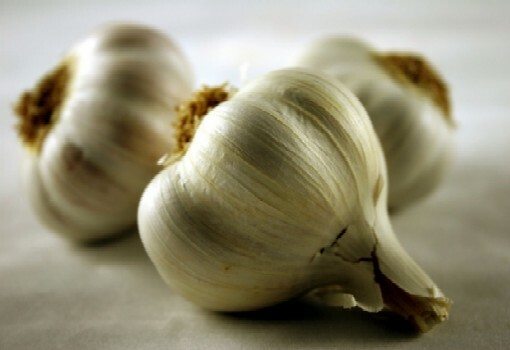 Apart form the more obvious triats of garlic - such as the bad breath one gets from eating garlic, it also has some more problematic side effects especially when consumed in large quantaties. Although very few people are actuially allergic to garlic, symptoms may include skin rash, a high temperature and headaches. Important: Research published in 2001 concluded that garlic supplements "can cause a potentially harmful side effect when combined with a type of medication used to treat HIV/AIDS"..